Note small slope in wing from engine to fuselage.
" the most versatile aircraft of the war. It became the most heavily armed airplane in the world, was used for high- and low-level bombing, strafing, photoreconnaissance, submarine patrol and even as a fighter"
As Supreme Allied Commander in Europe during World War II, Gen. Dwight D. Eisenhower needed to be able to travel - quickly - to meet with top alliance leaders and field commanders and get a close-up view of the unfolding war. Three Japanese destroyers ... identified the planes as American B-25 bombers, ... more than a mile away, a great geyser of water shot up ... The lookouts began frantically searching the sea; there had to be a ship close by with cannon aboard. But there was none! Suddenly, one of the destroyers was hit. It exploded. As he skimmed over the trees and lined up the sights of his North American B-25C Mitchell's eight .50-caliber nose guns on the Japanese airstrip at Wewak, New Guinea, Lieutenant Vic Tatelman was astounded to see rows of Mitsubishi bombers, ... lined up wingtip to wingtip all along the tarmac. The Norden bombsight was a ... bombsight used by the United States Army Air Forces (USAAF) and ... Navy during World War II, ... to aid the crew of bomber aircraft in dropping bombs accurately. 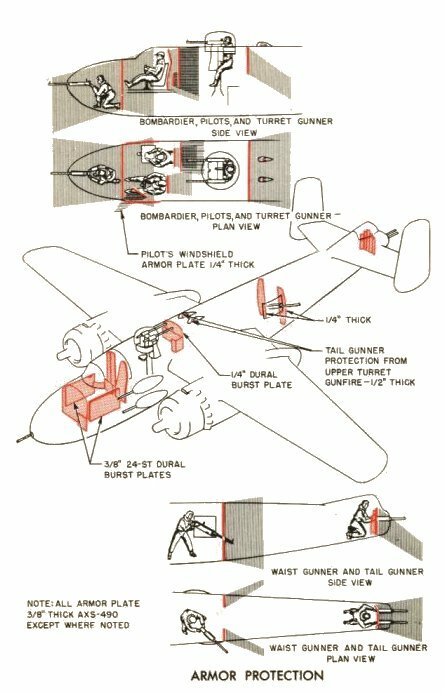 "3/8 inch 24-ST Dural Burst Plates" - that's the Flight Manual nomenclature for the very rare armor plates on the sides of the pilot's compartment. Then came the installation of the 75 mm cannon. It required a crewman to load, fire and extract the casing. And when it fired it felt like the aircraft had "hit a brick wall", but with its 2.95 inch (75 mm) projectile, it could turn a tank into scrap metal and punch very large holes in Japanese destroyers and barges at a range of nearly 2 miles. This versatility is due mainly to their modular design. There were literally hundreds of different [B-25] configurations. War is expensive. World War II was very expensive. The United States spent more than $300 billion fighting the Axis Powers and supplying our Allies - that equals more than $4 trillion today! Instructions after giving a 3x5 card to each person: "Each card contains either a mission, an item of equipment, or a design requirement. You'll need to decide which. Your goal is to form groups of missions, equipment, and design requirements that you think go together. Your groups can contain any number of people. When you have formed a group, let me know, but you have a maximum of 6 minutes. " World War II was very expensive. An: Associating missions, equipment, and design requirements. R: Uses of the B-25 and equipment installed.